This recipe was inspired by a mama who shared Ambitious Kitchen’s flourless black bean brownies recipe with me as I waiting for hours at Alberta Children’s Hospital this weekend with my youngest (minor injury at the library of all places, which is ironic if you know all the wild activities my kids do from skateboarding to snowboarding to gymnastics…. thankfully alllll ok now!). 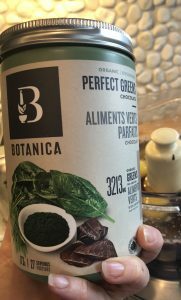 I’ve been adding Botanica’s chocolate flavoured greens to anything I can — my kids’ chocolate milk, PB & chocolate smoothies, even my morning coffee for a moch mocha. So when I saw the recipe called for cocoa powder, I thought I’d add in some chocolate greens as well! So, without further ado, here’s the recipe. Enjoy! PSSSST…. if you visit my instagram, the post from Sept 16/18 includes a contents that runs until Sept 21/18 where you & a friend can win a tub of chocolate greens each! 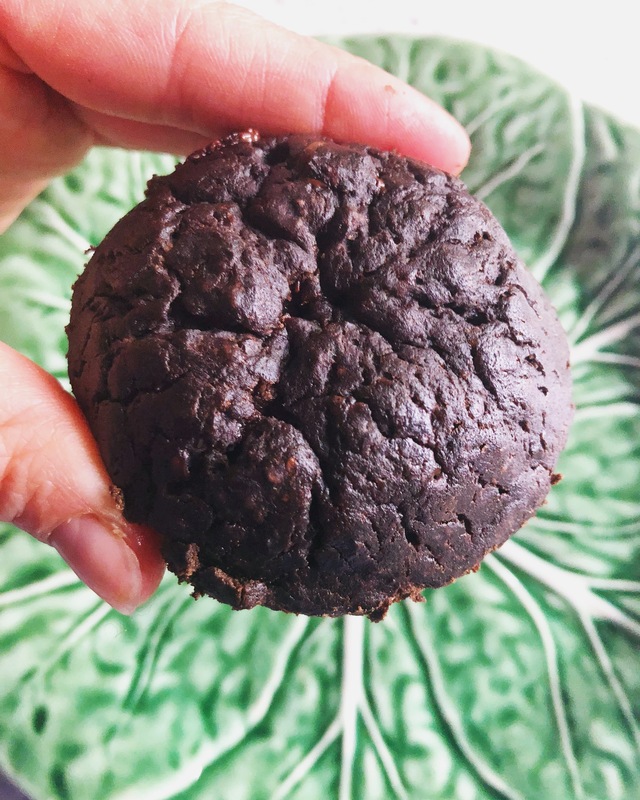 Use coconut oil or butter to grease a 12 cup muffin tin well. Place black beans & 2 eggs in food processor. Process until beans are well blended. Add 3 other eggs, maple syrup, coconut oil, & coffee. Process until smooth. Add cocoa powder, greens, baking powder & salt. Process until smooth. Place muffin tin on wire rack to cool for 10 minutes, then remove & transfer brownies to the wire rack to cool. Store in airtight container in the fridge once cooled. Or split batch & put half in the freezer (though it’s looking like this first batch I’ve made will only last 3 days in the house!). Great for post workout for parents or post-kid’s activity, school snack (because nut free! ).